Businesses do not always realise the potential of using flyers. One of the cheapest forms of advertising is to give out flyers. Flyers can give potential clients a lot of information about events or products. The reader will immediately notice the business name, brand and services. Finding a printer to produce excellent flyers that people take notice of, and stop to read, is essential. Most printers will offer to print flyers, and as they can be on any subject, and be set out in many different ways, the printing will be equally as varied. When ordering flyers, the customer needs to make sure all the details are given to the printer. Usually, printers will have examples of flyers to show customers the design, and type of brochure, they typically print. If the customer is sure of what they require, the printer is also sure to make the correct flyer. When choosing designs, and layouts, for your flyer, the printer will confirm all necessary details to produce the flyer. Many printers will create new designs, and effects, for your brochure if you request it. The printer will continually add to their portfolio of flyer designs, which helps to improve their service. Giving flyers out in your local area is a way to get your business noticed by your community. The flyers can be placed in other companies; for example, shops, local authority reception areas, restaurants and bars for anyone to pick up. Flyers can be any size and are usually either one page, which can be folded into separate pages in different ways. Thousands of leaflets can be reproduced, ready to send out by mail, and delivered to a wide area of potential customers. Sometimes, this is the only way customers get to know your business, and what services you offer. Flyers can be used for many different reasons; promoting new products, business offers, charity events, recruitment, product discounts, and advertising for a brand and its services on offer. The flyer offers an opportunity to display and emphasise, current trends, or seasonal services, that may be different to the usual services from a business. A business can present products, and services, individually through a flyer. Services and products that otherwise would go unnoticed by the customer can quickly be brought to their attention with flyers. Businesses who request flyers can use a real estate agent, to check out different cities, and their suburbs, where people live, and where the flyers can be posted for the best exposure. 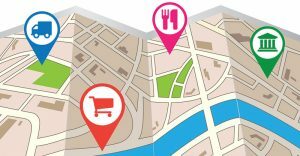 Another way to look at your area for posting flyers would be to check out online maps, for the density of population, and use the internet to research the best possible area to send your flyers.